The Hueneme Bay Shopping Center in Oxnard, CA is being revitalized. These new retail developments enhance the qualify of life and improve the value of the surrounding neighborhoods such as Bartolo South and Redwood Neighborhoods. These communities are a great option for families looking for homes along the coast at less than $500,000. The local residents surrounding the Hueneme Bay Center have an excellent walk score. Walk scores are given to homes that are nearby life’s necessities such as grocery stores, restaurants, parks, coffee shops and more! 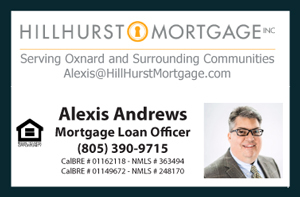 Move-in ready homes around Hueneme Bay Center command top dollar and have sold within $425,000 to $440,000. Take for example 1425 Spruce St in Oxnard CA: remodeled, move-in ready and only a few blocks from Hueneme Bay Center. This home is a reflection of the demand and value of the neighborhood surrounding the soon to be redeveloped Hueneme Bay Center.